Celebrating DSPs - It's DSP Recognition Week! 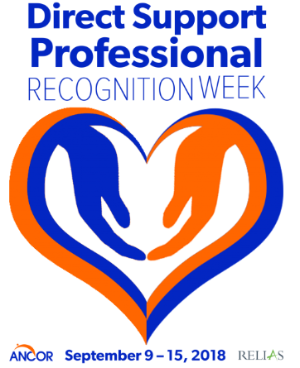 It may not be as well known as Shark Week but Direct Support Professional Recognition Week is a huge deal! PSRS would not exist without Direct Support Professionals (DSPs) who do a critical, challenging, and demanding job. One week per year dedicated to our DSPs is simply not enough! How many occupations do you know of where the job description includes: teacher, task manager, driver, personal care assistant, cook, errand runner, support specialist, cleaner, financial assistant, medication administrator, healthcare manager, trainer, life skills coach, advocate, reporter, and data analyst? These are some of the core responsibilities our DSPs are tasked with on a daily basis...and for less than a competitive wage! PSRS is so appreciative of the people who have committed themselves to doing more than a job, but to building relationships, and accepting huge responsibilities geared towards enriching the lives of people with developmental and intellectual disabilities, and hopefully their own. As our way of saying thank you to DSPs this week, PSRS is giving each one a special gift, and making sure they know how much we appreciate all they do. If you have a DSP in your life, make sure to let them know how much they mean to you...and ask them to keep being a DSP! If you do not know a DSP and would like to show how much you care, or you do know a DSP and would like to honor their commitment to supporting people with disabilities in the community, consider a donation to PSRS.